SAP CAR has been around for a few years but not many companies have implemented it. I therefore thought it pertinent to explain the installation process of a SAP CAR system. It can be regarded as one of the more difficult installations that SAP has to offer as it involves a number of systems and is not as straight forward as a normal NetWeaver ABAP system installation. This document is written for SAP Basis Consultants and I therefore assume a senior Basis level of skill. I also assume that your SLT and ECC systems are existing systems. The landscape in this document consist of three systems. An ECC system an SLT server (used to extract the data from ERP and to import it into a HANA database) and the CAR system built on a HANA database. 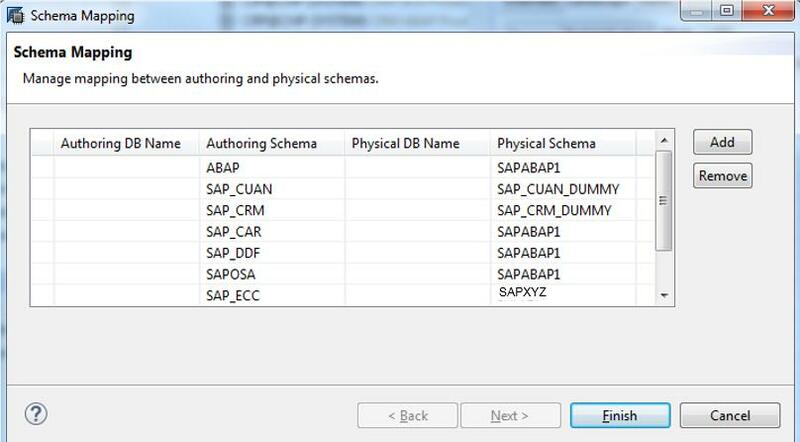 Component DMIS_CNT must be upgraded to DMIS 2011_1_731 SP11 on ERP and the same version on the SLT server. Note 2304552 to be installed on replication server only. 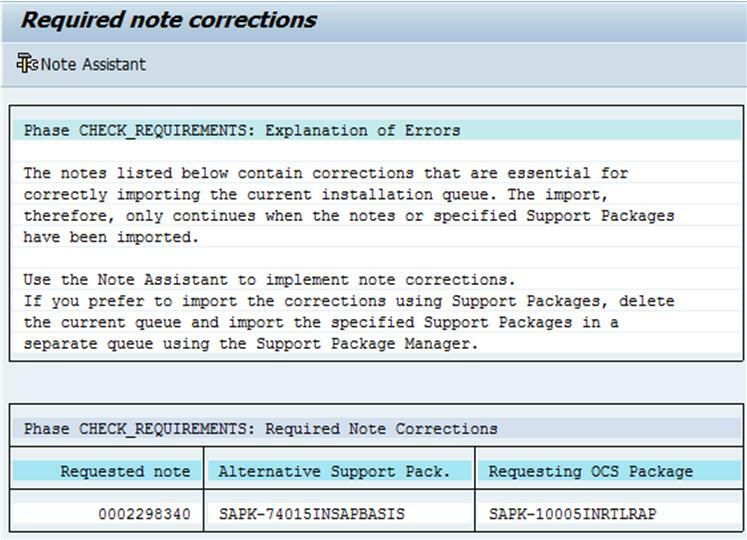 Note 2304817 to be installed on both source and replication server. I received the following error when I imported the support packs. The solution was to add note 2251752 into transport with transaction SNOTE. Continue with Support Pack upgrade in SPAM as user DDIC. Run transaction SPAU. It only had the above mentioned note in it. I reset the note to status “original”. Run transaction STC01 with task list SAP_BASIS_SETUP_INITIAL_CONFIG. This gave me an error. I then had to set the status of the note 2298340 to complete even though the note shows that it cannot be implemented. Download the UDF packages. Please note that each package is only compatible with one database version. You need to read Note 2050229 – Release and Upgrade Information for Unified Demand Forecast Application Function Library (UDF AFL). It explains the installation of the Unified Demand Forecast application function library. Call hdblcm with the component_dirs flag to point it to the unpacked directory. Open SAP HANA studio, in the Navigator panel, expand SAP HANA server => Security => Users. Double-click user _SYS_REPO to enter the edit screen for the user. Double-click user SAP<SID> to enter the edit screen for the user. SAP recommends that you read the Release Information Note 1778607 , which informs you about the highest supported SAP HANA release available for SAP HANA Live for SAP Business Suite. Use the document called SAP HANA Live Install for more information on installing SAP HANA Live. Ensure that the correct version of DMIS is installed on source and replication server. See SAP Note 1700052 if you use a non-Unicode system. Please note that (1) refers to the SLT system and not the source ECC system. Please note that during the setup of the connection between SLT and HANA a user with the same name as the “Configuration Name” will be created on the HANA system with a schema with the same name. Assign the following roles to the user which you used in the SLT connection (basically the schema name of ECC) and to user SAP<SID>. Press “Execute (F8)”. The next screen will show the details of this replication configuration. Select the “table overview” tab. On top the function “data provisioning” will get visible. Execute the function “data provisioning”. On the subsequent popup select the function for table creation. Press the multiple selection pushbutton besides the table name field. The following screen allows the entry of multiple table names. It also allows to upload the list of table names from a text file. Make sure, that the text file only contains table names and no other information/data. The notes associated with the SAP HANA Live content packages usually have a TXT file attached containing the list of tables. In some files each line consists of a schema name comma separated from the table name (e.g. “SAP_ECC, T002”). In such cases you can use the “Find & Replace” function of a simple editor to remove the schema name and comma (e.g. replace “SAP_ECC,” with “”). Upload the text file with the table names and press “Copy (F8)” to return to the previous screen. Press “Execute (F8)” to trigger the table creation. Add entry for SAP_ECC as authoring and SAPXYZ as physical. Choose the *.tgz files for import. It is important to check the job log to ensure that all the content activated as expected. 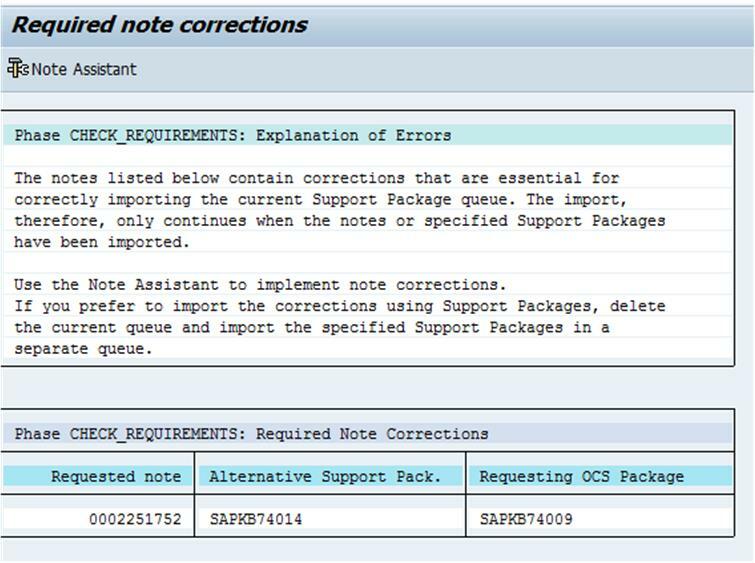 There are loads of SAP notes on activation errors which I won’t be able to cover here. The systems should now be in a state that you can handover the CAR system to your functional consultants. The functional consultants will inform you as to the tables that requires replication from your ECC source system to HANA. Please make use of the blogs below as they explain using filtering of larger tables when the initial load from source to HANA is done. a customer of us plans to implement SAP CARAB 2.0 on HANA. ERP Retail is running already on HANA 1.0 SPS12. Could you give us some hints regrading landscape design and sizing of SLT and CARAB application Server ? Do you have both as 3 Tier Installation ? The system that I installed was a proof of concept but hooked up to a production ERP Retail system. I therefore only had a development and “production” CAR system in the landscape. Our company intended to use CAR only for the POSDM function and not for all the other functions like UDF and DDF. It was used to determine if we could cut down on our create-order process. So a long story to tell you that I don’t have the right experience to guide you from a full CAR landscape point-a-view. However, I don’t see a need for a 3 tier SLT system. I think that a 2 Tier will suffice seen that your development system can service the QA and Regression systems as well. I was amazed that the SLT system took some serious pain when it came to hardware resources. When setting up CAR, hundreds of tables are replicated from ERP and some of them are your “most frequently written to” tables which translates into loads of changes that have to be shipped from ERP to CAR. The load of the replication was on the SLT server and not on the ERP server. Our ERP server has a 23TB database and grows at about 400GB a month, this will hopefully give you some indication of the rate of change on the tables which will be replicated. The SLT server had 2 CPUs (4 cores each @ 4004 MHz) and 30GB RAM. The CPU’s basically ran flat-out all of the time in order to cope with the load. Can you provide your view on co-deploying S/4HANA with CAR ? On doing so SLT is not required. It has its pros and cons highligted by SAP. Would you prefer a standalone CAR or CAR co-deployed with S/4HANA ? Would like to get your expert opinion. It seems that SAP’s current trend is to consolidate systems by creating landscapes where systems share platforms, databases and in some cases systems within systems. Majority of my professional career has been spent in a retail environment which means 24×7 up time is paramount (I’m sure everyone will say that). Then there is the amount of downtime required for upgrading HANA software as well as the accompanied hardware drivers and SUSE patches which can occur multiple times during a year. It also obviously depends on whether you have a HADR system to which you can switch to while upgrading the primary site and thereby limiting your downtime. So, if your landscape (and / or business processes) can afford downtime on CAR at the same time S/4 is being patched/upgraded etc. then I would say that it would make sense to co-deploy. The speed and power of SLT has been impressive and I cannot fault it on those bases. Bottom line for me is that I would be prone to go with separate systems. I am trying to install a Co-Deployed scenario with S/4HANA, but I have some doubs about data replication. As I know SLT is not required, but what about DRF? 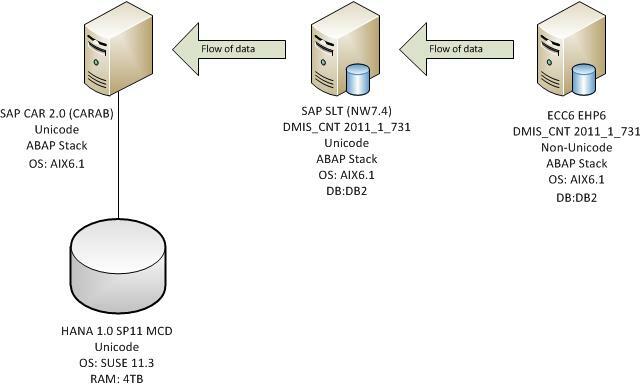 In the installation guide I read that is necessary to replicate some data master (for example products) from the data master system to the Sap CAR system(I am installint DDF and SAP Allocation Management for Retail). In my case S/4HANA is the data master system and I don’t know if I have to do that, because I have a co-deployed scenario. I have searched information about that, but I coulnd’t find any document which explains that scenario requirements. All I could find is about SAP ERP as data master system. Do you know the requirements and steps to achieve my installation? Is there any guide to follow? I have a customer inquiring about minimun internet and bandwith requirements to assure CAR online connection and transfer in/out information to POS from PMR and OPP. Do you happen to have that info? We have 10000 POS devices spread across 1500 stores and the bandwidth ranges from 4Mb/s to 6Mb/s per store. Our CAR system is not used for OPP or PMR so I don’t have facts directly related to your question, however we do run our real-time loyalty system from our SAP CRM system and all the POS traffic runs over the 4 – 6 Mb/s lines. Our round trips are below 200 ms (that includes the loyalty calculation of a basket with, on average, more than 10 items). Some stores are in remote areas but the bulk of the stores are in major towns and cities. The maximum physical distance from store to server would thus be about 2000km which results in relatively low latency. Thanks for the great blog, We are doing a poc in which we need source system as S4 hana system, The Car system has already been hooked to another ERP system, I would like to know if it is possible to pull data from two source systems? When we did our installation we had the same requirement (2 source systems) and we referred it back to SAP who replied that it is not possible to have more than 1 source system. Please take into consideration both our source systems would have been ECC6 and not S4 so I don’t know if that would influence the answer. This is really nice piece of document. Really very helpful. I have one query here. Let me brief you our landscape. In our case, we have S4 1610 as source system & CAR as Target system. We do not have separate SLT server so installed SLT (DMIS Component) in CAR system only. After all SLT configuration, it seems that all Source Tables & data has been replicated successfully in CAR HANA Database. But I am not able to see those replicated tables & data from CAR application layer though I can see them from HANA Studio. Can you please let me know how to access those source tables & data from CAR application layer? Actually I want to do some POSDTA configuration where will define store customization and other stuffs. 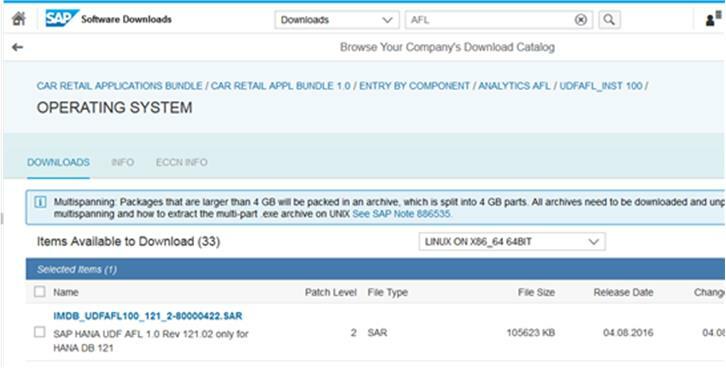 In some of the document(SAP blog) I can see post about SAP HANA Content for SAP CAR which have set of views along with SAP HANA Live part. Is this applicable in our case as well? Do you have any other link/document which I can follow in our case. Thank you for this great blog post. SAP HANA Tutorials seems to be over, is there an archive of the content ? Thanks for letting me know about the unavailability of the SAP HANA Tutorials website. I notified the owner of the site. In the meantime please have a look at http://www.saphanacentral.com/p/schema-mapping.html as it has similar information as the unavailable website. I have S/4 HANA 1709 as a back-end system and CARAB 2.0 SP04 on HANA as a front end system. (CAR RETAIL APPLICATIONS BUNDLE 2.0 SPS04 (01/2018) CAR RETAIL APPL BUNDLE 2.0). I need your help to understand, how i can proceed to setup this. I am using CIG giude, but it is not very much helpfull. is there any guide for setup procedure step by step. Hope you have answers by now. If not, let me know I can able to answer.